Here's the lyrics to U2's Boy album. 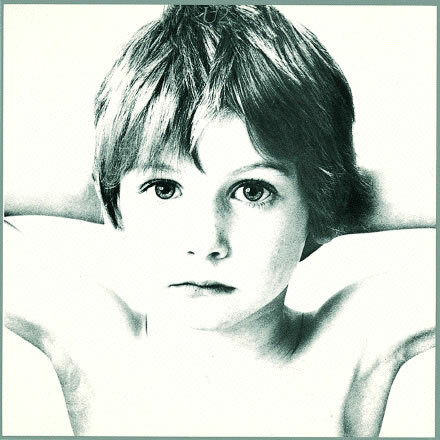 Released on October 20, 1980 it was produced by Steve Lillywhite who would go on to produce several U2 works. Common lyrical themes among the album's songs are the thoughts and frustrations of adolescence which is not surprising as U2 were just a bunch of 20 something Irish lads when Boy came out! Boy is probably best known for is classic tracks "I Will Follow" and The Electric Co.
3. "A Day Without Me"
4. "Another Time, Another Place"
6. "Shadows and Tall Trees"
A question often asked about the album is, who is the boy on the cover? The answer is Peter Rowen. He went on to become a photographer.